Falcon Energy were instructed by the Knepp Estate, a 3500 acre estate in West Grinstead, to review their portfolio of properties to ensure they were compliant with the new EPC rating standards that were introduced in 2018. The estate boasts 150 properties which include a wide variety of cottages, houses, offices and light industrial units for rent. 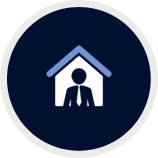 The residential properties range from seven bedroom country manors to bedsit flats. Falcon Energy were engaged to bring the existing properties in line with the new changes to MEES (Minimum Energy Efficient Standards). On 1st April 2018, new rules were introduced whereby landlords are prohibited from granting new tenancies for properties with an EPC rating below E. This includes extensions and renewals of existing tenancies, or a tenancy becoming a statutory periodic tenancy following the end of a fixed term shorthold. From 1st April 2020, this restriction on landlords letting out sub-E rated properties is extended to cover all existing tenancies for properties in scope of the regulations. Due to each dwelling being either a listed building or constructed pre-1900, each unit had to be surveyed individually. Once the rating was ascertained for each property we could suggest options to bring the dwellings to the required standard. Jason Emrich MRICS, Resident Land Agent, Knepp Castle Estate, said, “The challenge of getting so many older dwellings to meet the new standards, alongside confusing legislation, lead us to consult with several specialists over the past few years. Falcon Energy are the only company that have actually been able to find practical and workable solutions to getting some of our G’s and F’s above the line, by modelling different refurbishment scenarios. They have helped us through a challenging time in a cost effective and helpful way”. For energy compliance and surveyance on new and existing developments, please contact us to discuss your needs.